For years, I’ve been haunted by those four words. It’s not that little Haley Joel Osment’s creepy delivery of that statement gives me nightmares. It’s that I gave The Sixth Sense, M. Night Shyamalan’s 1999 blockbuster film, a 1.5-star review while working for the suburban Daily Herald newspaper. 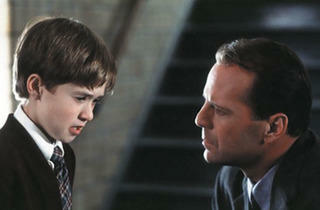 I was filling in for Dann Gire, the Herald’s longtime film critic, the day The Sixth Sense screened. I was inexperienced and, to be honest, a little distracted that day. As a result, I found the movie slow, Bruce Willis unbearable and some of the ghosts laughable. 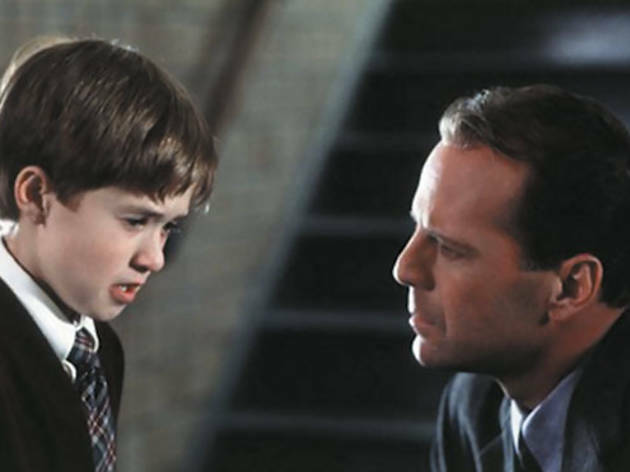 By the time Shyamalan’s career-making plot twist (spoiler alert: Bruce Willis was dead all along!) came, I had lost interest completely. I didn’t spend a lot of time reflecting on the twist and how it changed everything in the movie. I just fired off a negative review, slapped 1.5 stars on it and figured that would be the end of it. The initial review didn’t attract much attention. It was the capsule summary that ran under the “Pans” heading in the paper’s “Picks and Pans” section that made my life hell. Readers called me every name in the book and found creative new ways to question my intelligence. That’s to be expected for any critic. What made this unique was the amount of time the movie played in theaters. That little capsule ran every day for nearly a year. And then came the Oscar nominations. Jesus, really? Six of them? I made myself watch the film again. My critical reassessment? It didn’t deserve a “pan.” It didn’t deserve an Oscar, either (and didn’t get one!). The second viewing of the movie revealed all sorts of nuances that went unnoticed before “the twist.” That’s part of the reason the movie stayed in theaters so long. Viewers went back to see it again. I wish I’d given more consideration to the power of that infamous twist, but I still think Willis sucked and the bile-spewing ghosts with names like “gunshot boy” and “burnt teacher” were silly. Still, 1.5 stars wasn’t fair. I bumped into Gire recently and told him I was writing this piece. He told me I should have no regrets. That my Sixth Sense review was my legacy, and I should wear it like a badge of honor. I love the sentiment, as if there’s some sort of unwritten critic’s oath that says stand by your review…no matter what. He’s right. We should stand by our reviews, no matter how much money a film makes or how many awards it collects. But if we’re wrong, we should say that, too. I’ve been haunted by this movie long enough. It’s time to exorcise this ghost for good.